Except for a short time of seven years or so, I have lived my life in Helsinki. I was born here, I went to school here, I had my daughters here, I studied in the university here, I have always worked here. 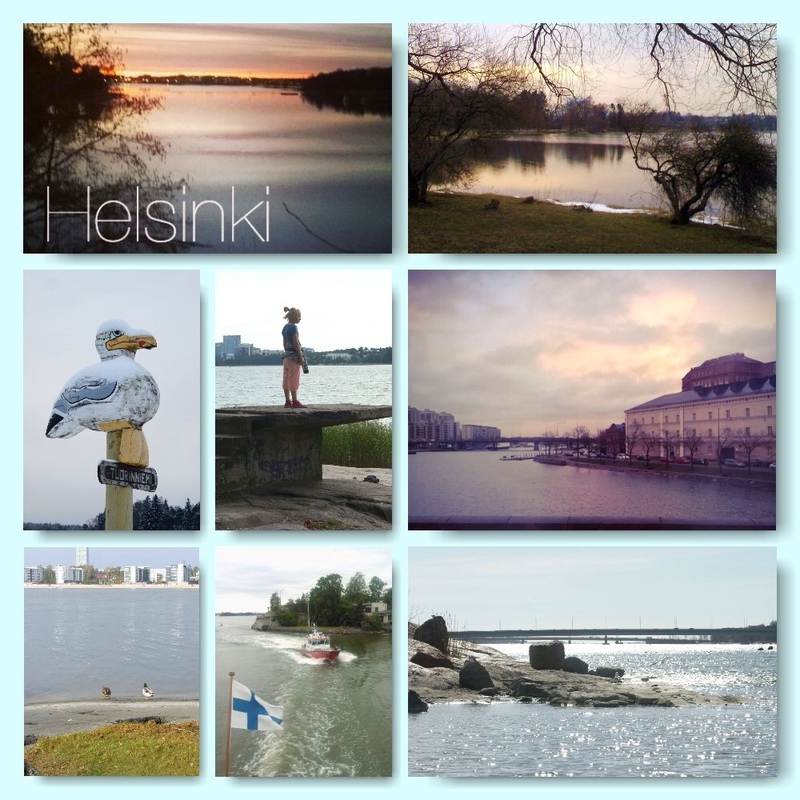 Even though I dream of living in a warmer climate place, I love Helsinki. It is the city of my heart. And out of Helsinki, my very favorite place will probably always be Munkkiniemi where I grew up. Helsinki is so many things. 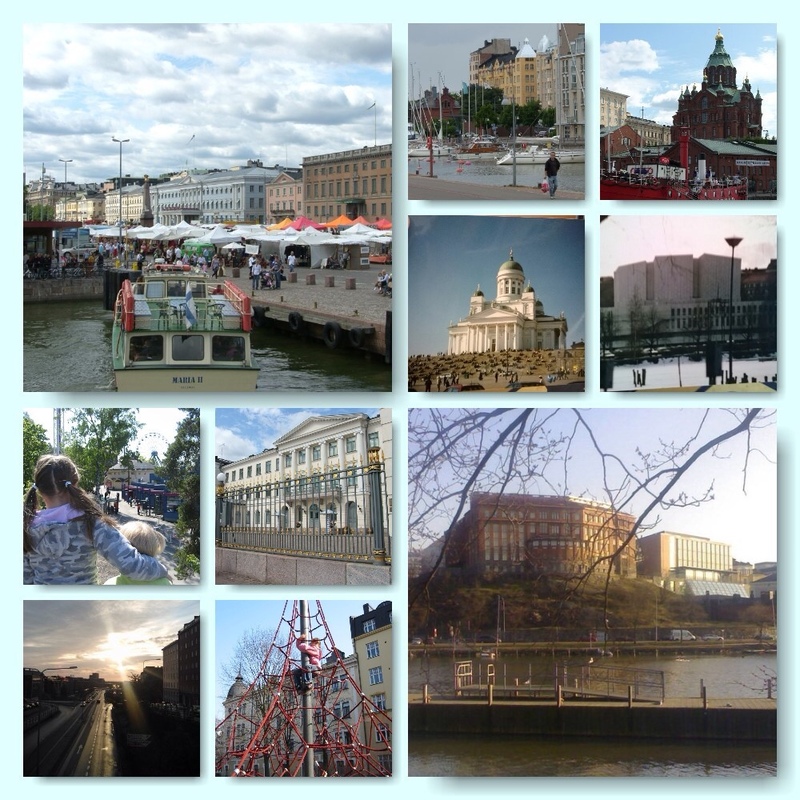 It is the biggest city in Finland, albeit only a mid-size town in global scale, the capital city. 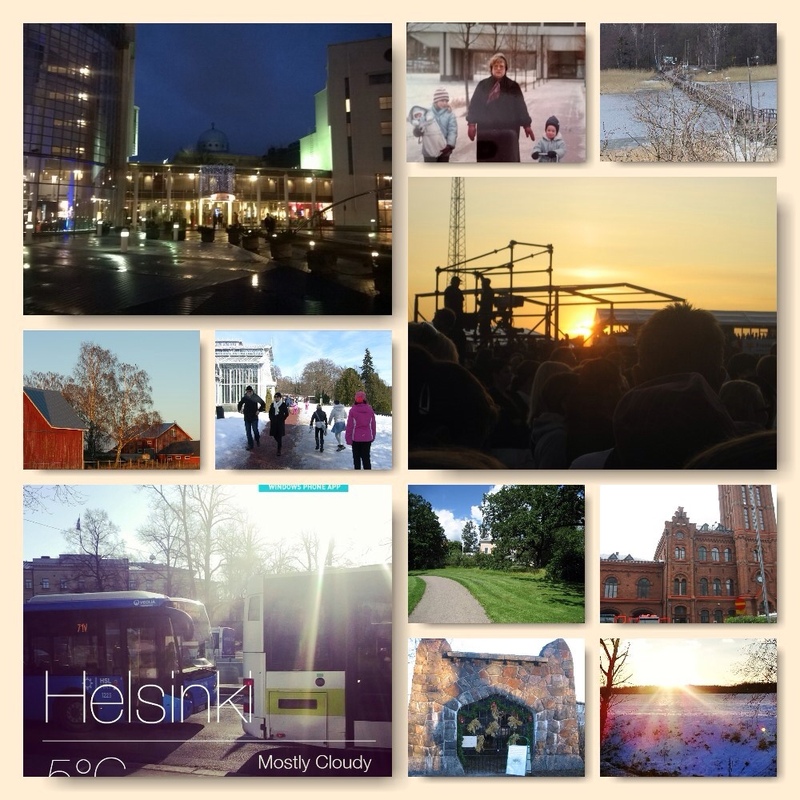 It has a nice downtown area with green parks and long shore-lines – Helsinki is all around the sea, built on a lot of islands and peninsulas – and sort of ok night-life on three nights of the week, mostly dead the other four. It is at it's best in the summer time, when th city bathes in the sun. A river flows through Helsinki, the Vantaa River, but it is not as big of a deal as, say, Thames in London, for the river flows through suburbs, fields and these rental garden patches. There's a nice central park – quite different from the one in New York, for our central park is all forest and those garden patches. The central park area stretched all the way to the forests of Paloheinä, where there are the best skiing grounds and sledding hills of the city. There are some manors and farms with vast fields even within the city limits, like the Tuomarinkylä manor and it's grounds and the biggest horse stables in the city, and Haltiala. Haltiala is vast fields and cows, pigs, sheep, chicken and roosters, and an ice cream stand that can have a line longer than half an hour in the summer time when families flock to Haltiala to see the animals and spend the day out. Like I said, we live close to Paloheinä, which is also close to Haltiala, and regularily go for walks through the Haltiala fields and the forests by the Vantaa river flowing right next to it. 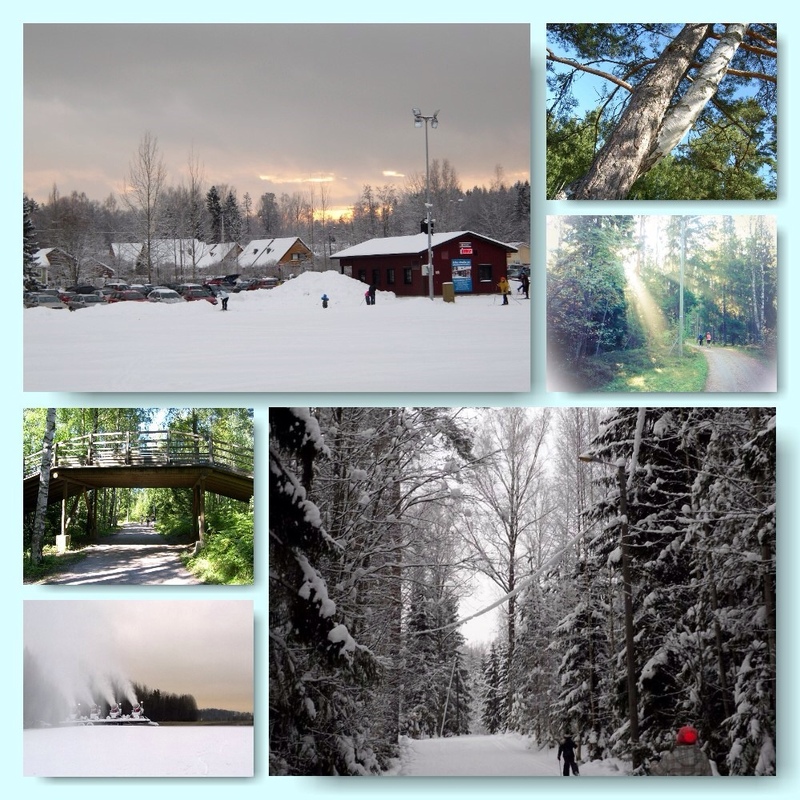 We sometimes walk all the way to Pitkäkoski, where there is one of the many excercise points of the criss-crossing forest paths, a dog park for dogs to roam free inside a fenced area, and a funky twisted tree – the love affair of a birch and a fir tree. The downtown area evolves around the Central Railway Station and the square next to it (our office is just around the corner from there! ), the Stockman (department store) area, and spanning towards Kamppi in the other direction, and the Kauppatori main market square in the other direction. The National Theater is by the railway station, and in the winter time there is an ice skating rink on the square. Not that I'd ever skated there; I'm not much for these winter sports (though I do know how to skate and ski, of course!). Starting behind Stockman, by the Swedish Theater, the city's main boulevard Eplanadi, or “Espa” reaches out to the Kauppatori. It is lovely in the summer time, with busy people scurrying through, and idle people relaxing on the grassy areas. Tourists taking their photos everywhere you look. I love walking down Espa, with a cappucino in my hand, maybe stopping to sit on a bench to look at the passers-by for a while. Around Kauppatori things get busy. At the very end of Espa, there's the fountain-statue Havis Amanda, with seals on the edges of the pool – probably every Helsinki-kid has had their photo taken riding one of them at some point of their life. On Vappu, May Day, Havis Amanda the statue girl gets a full wash and a high-school graduation hat at six pm on May Day's eve. 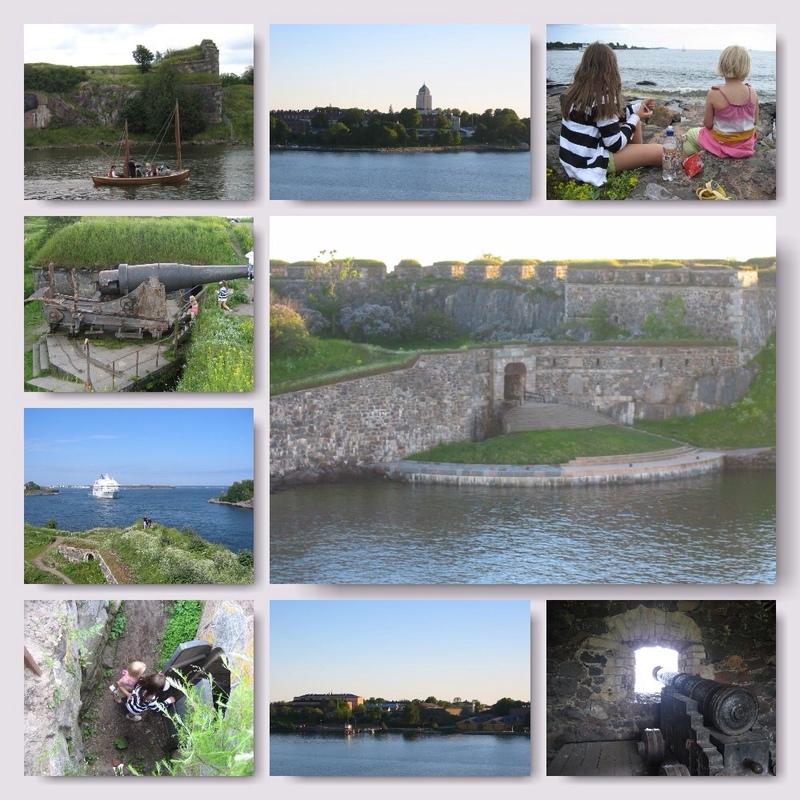 From Kauppatori, there's the Suomenlinna ferry leaving every 20 minutes (in summer time) – Suomenlinna being this fort or citadel built to protect against attacks from the sea, but these days a home for many and a popular outing place for Helsinkians. The Presidential Palace is right next to Kauppatori. And then there's Katajanokka, like a thumb in the sea, the home of our famous ice breakers, Viking Line cruise ships and the beautiful orthodox Uspenski Cathedral. There's a new big ferris wheel (oh well, scale it: London:Helsinki – London ferris wheel:Helsinki ferris wheel ;) ) at the edge of Katajanokka this summer. Ships and boats dock all along the shorelines of Helsinki. There's Senaatintori square on one side, surrounded by university and government buildings, an artisans' market and coffee shops, and the main cathedral of Helsinki, with about a hundred steps leading to it. Senaatintori is a place for all sorts of celebrations, like New Year's for example, and the starting place for parades and such. The church steps are a favorite haunt for university students in between classes, since they are right in the Helsinki University campus. To the other side of Kauppatori there is the Olympic terminal (built for the Helsinki Olympics in 1952) where the Tallink-Silja Stockholm-going ships dock. From there starts the Kaivopuisto(Kaivari)-Ullanlinna-Tähtitorninmäki area, with rolling grassy hills and rocky slopes on the inland side, with the long shoreline promenade on the sea side. Between there is the narrow road where people ride to show off their fancy coupés and motorcycles. And then there is, of course the legendary Café Ursula. On the hills of Kaivari people go for picnics and play some ball and spend the day with friends. Especially Vappu, May Day, sees crowds of picnicing people with their white high-school graduation hats, serpentine and bottles of bubbly. I've tried it once, and though it was fun, it's not really my scene – too many people everywhere! I do love the area on a regular day, though. And my dad lives right there in Ullanlinna nowadays with his wife. Still, I especially much like the Kruunuhaka area behind the cathedral. 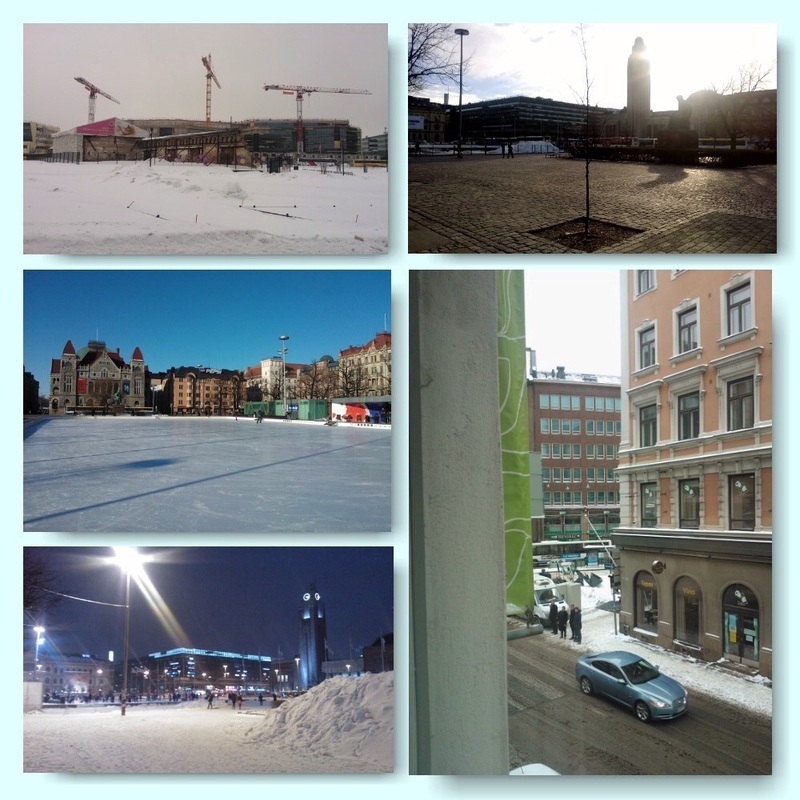 Funny that I don't have any photos of that area,, except for the part facing the bay between Kruunuhaka and Hakaniemi, but probably that is because I used to roam the streets of “Krunikka” when I was still studying, which was way before the time of cell phone cameras. Right there in Eira, same area, sort of, there is the nicest fire station of Helsinki, one of the oldest ones too. They have a boat too, that is docked there in Kaivari when not out on an assignment. The Helsinki fire department – the Stadin Brankkarit – is something of an icon of Helsinki, and every year on Helsinki's birthday, the Helsinki Day, the fire stations are open for public. I've been there with the kids a few times too when they were smaller. A little bit out of the innermost circle, there a fabulous places like the Arabianranta with parks and green areas; the place where the Vantaa river meets the sea. And Mustikkamaa, leading to the Korkeasaari Zoo, which is on an island. Close to where I grew up is Seurasaari, an island and outdoors museum, that used to have a huge colony of mostly tame squirrels. There's still some, but people stopped feeding them because of the rabies risk at some point, and so they're not so friendly anymore. 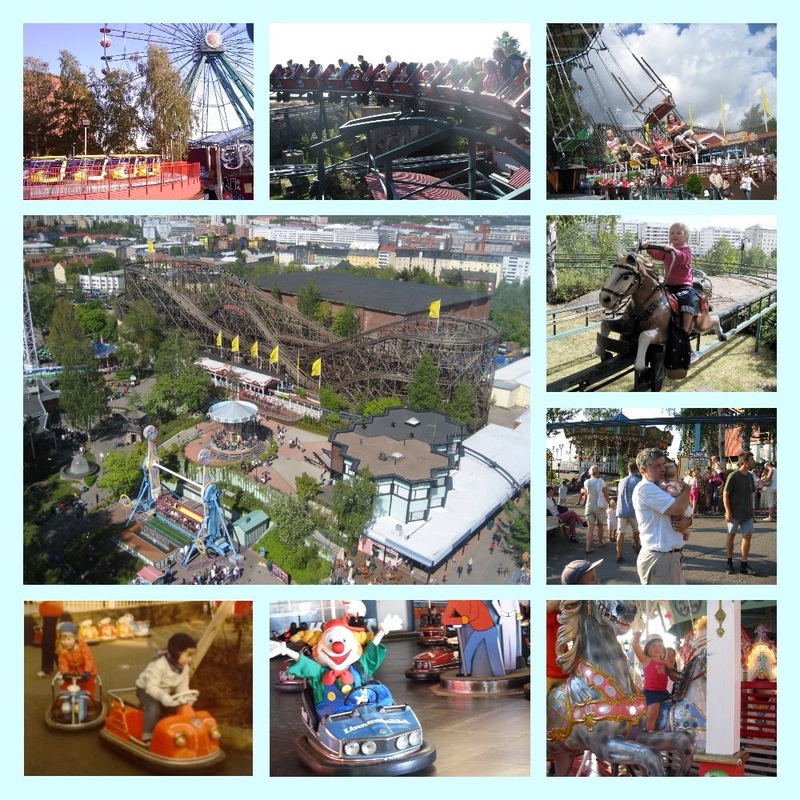 The number one landmark of Helsinki, if you ask any kid anyway ;) is of course Linnanmäki, or Lintsi, the amusement park. My grandpa used to be on it's board and so we had more free tickets on our disposal than we could use and so we went there many times each summer when I was a kid. Later on I worked there for a summer. 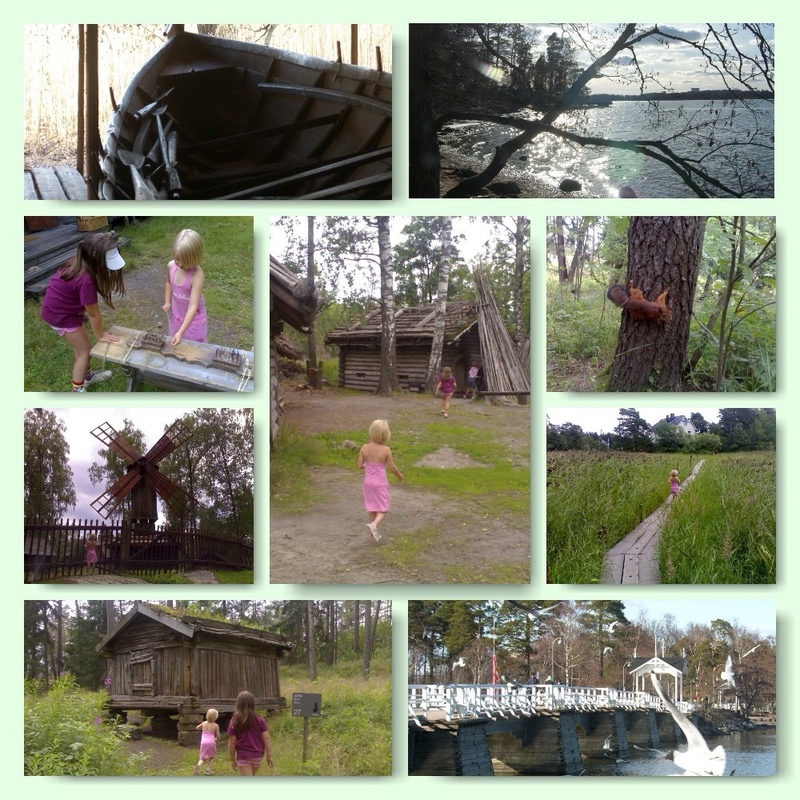 Our girls get to go usually once every summer, or maybe a second shorter visit sometimes with my dad. 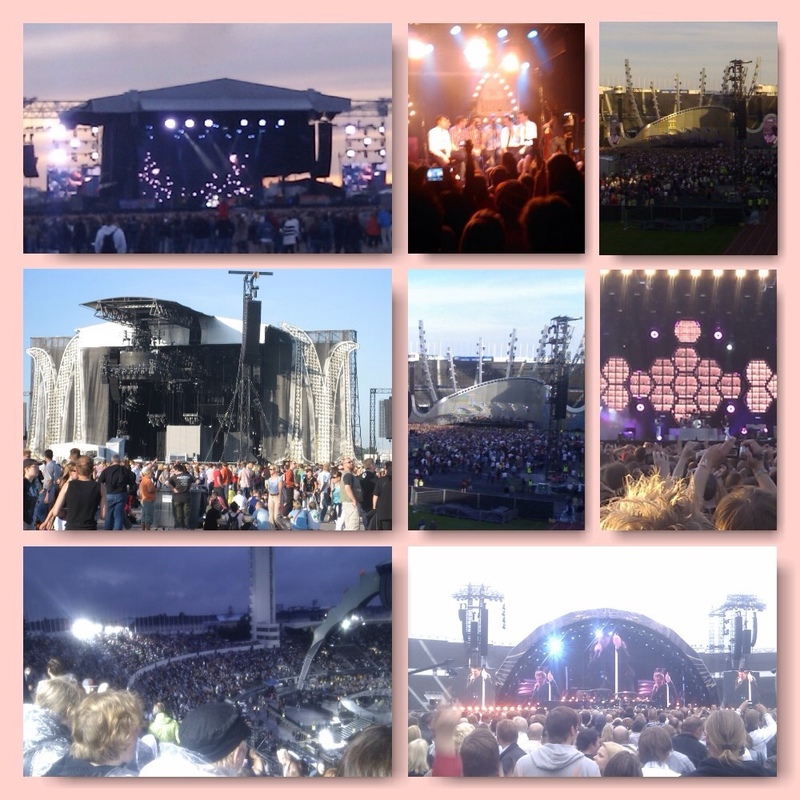 As for fun for the bit older, these days we get a whole lot of concerts and music festivals in the city throughout the summer. 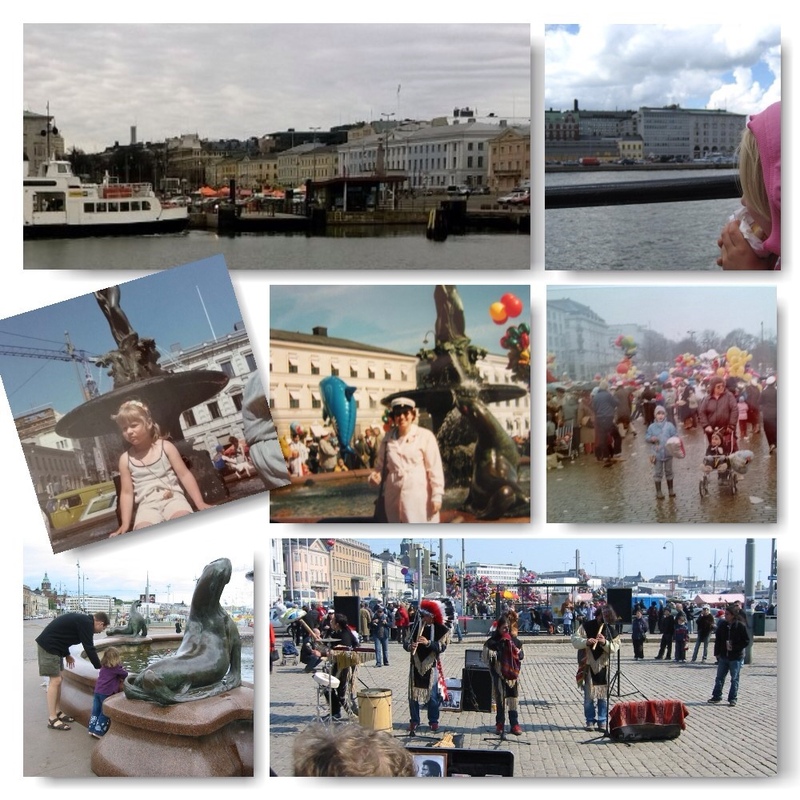 When I was young, there were none – most artists came as close as Stockholm but didn't cross the bay. Not the case anymore. And then there is the philharmonic orchestra with their Finlandiatalo by Töölönlahti, next to the Opera and the newest addition, the Music hall. I am not, nor have ever been, a really active concert goer, but I've seen Muse and Linkin Park in Kaisaniemi park right next to the Central Railway Station, Madonna in Jätkäsaari (which now has apartment buildings right there where Madonna once entertained the biggest concert audience in Helsinki history with her Sticky and Sweet), Green Day in Kyläsaari and e.g. Bon Jovi, U2 and Genesis on the Olympic Stadium. In the summer time, the city is live, people are out and about, walking, having picnics, hanging out. 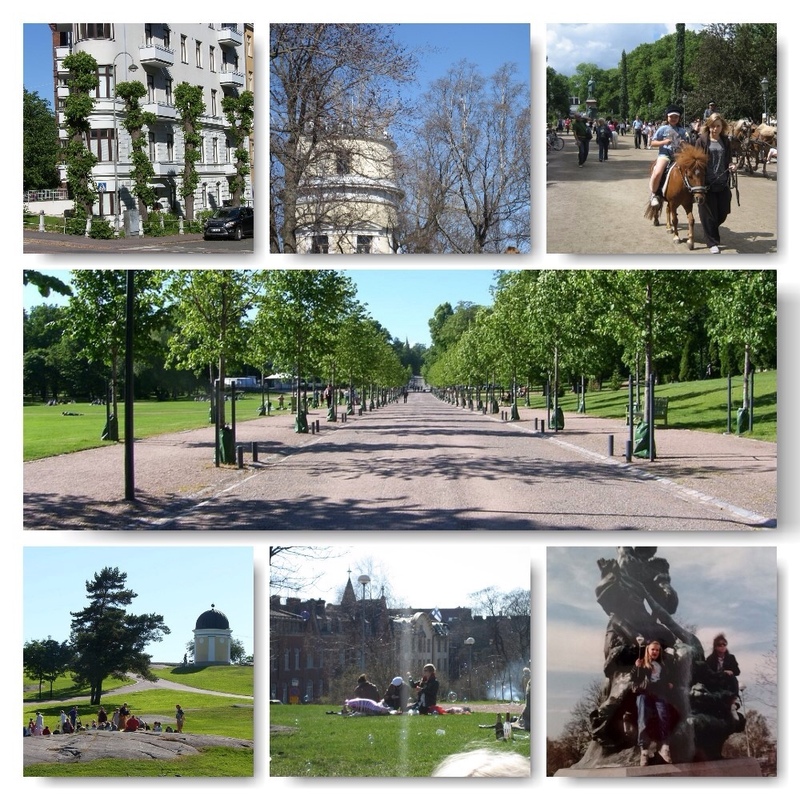 I like to walk the streets and the parks, sit for a cider or long drink on a sunny terrace, duck into a coffee shop for a cappucino, shop a little, have lunch and cherries at Kauppatori. But in the winter time it is cold and dreary and I have made it down to an art to stay down in the connecting tunnels underneath of the city as much as possible.